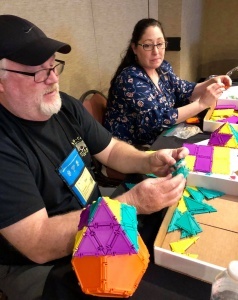 Geometiles at CMC-S Annual Mathematics Conference in Palm Springs! 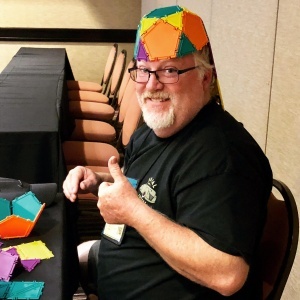 The California Mathematics Council-South (CMC-S) 59th Annual Mathematics Conference was held on November 2-3, 2018 in Palm Springs, and Geometiles had a wonderful time there! It was great to talk with dozens of innovative, bright and caring teachers, see many of our current clients who successfully use Geometiles in their classrooms, and meet new colleagues. 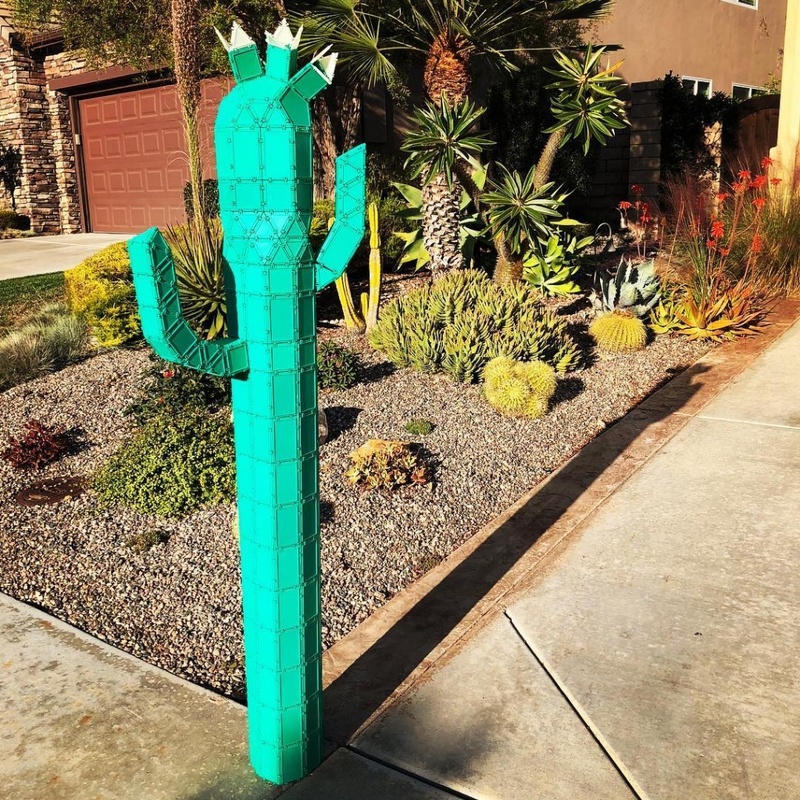 Meet the Gumby saguaro, just over 5’ tall, complete with flowers, all made of Geometiles. A great addition to our CMC-S booth. CMC-South features a certain newness of ideas to it. And it is also pure math fun. This year teachers took part in a version of The Amazing Race with Geometiles providing one of the challenges. Let your students’ next journal take the form of a 3D model. Shapes will replace words as they describe an object by modeling it with a few types of polygons. This project spars creativity and naturally leads to the study of ratios, area, and volume. Turn your students’ next field trip into an opportunity to delve into the heart of elementary geometry standards: composing and decomposing shapes. Given a few types of polygons, they will construct a model of an object they saw during their trip. Thank you to everyone who attended the talks and stopped at our booth. Please email us to say hi or ask any questions you may have.